Google results are revealing, but they don't tell everything. Both global and U.S. search interest in the iPhone peaked in September 2012, around the time of the iPhone 5 launch, Google Trends reveals. The stat is pointed out in a new Bloomberg report, titled, “iPhone Interest Drops Off.” But while we don’t doubt Google’s results, search terms and overall interest are not exactly the same thing. For anyone who was an Apple fan in 2012, it’s pretty clear that interest was at a fever pitch. Apple still had fewer competitors making decent products in the smartphone arena, who could take market share away from the company. While Android was gaining momentum, iPhone still monopolized more of the overall smartphone conversation. It was also when Apple was riding the wave of interest from people following the death of Steve Jobs. 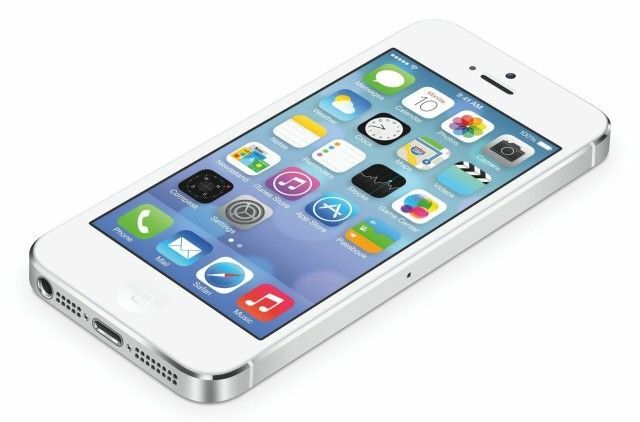 The iPhone 5 was the first new iPhone released after Jobs’ death, and the first produced under Tim Cook’s leadership. It’s also my personal pick for Apple’s best ever iPhone. A look at global iPhone search interest over time. Analyzing Google Trends is interesting, but it doesn’t tell the full story. For one thing, it doesn’t tell why someone is searching for a product, which is why Google’s attempts to track the spread of flu through search terms failed a few years back. Perhaps most importantly, it doesn’t match up to the number of people who are actually buying iPhones. In 2012, Apple sold 125 million iPhones. This year, even with “lower” interest, it will sell in the vicinity of 217 million handsets. The stat is interesting, and shows how much buzz there was around Apple in 2012. But don’t think for a second that Apple circa 2012 (with a market cap of around $550 billion) is superior to Apple circa 2018 (with a market cap approaching double that figure) when it comes to interest. The numbers just don’t support it!